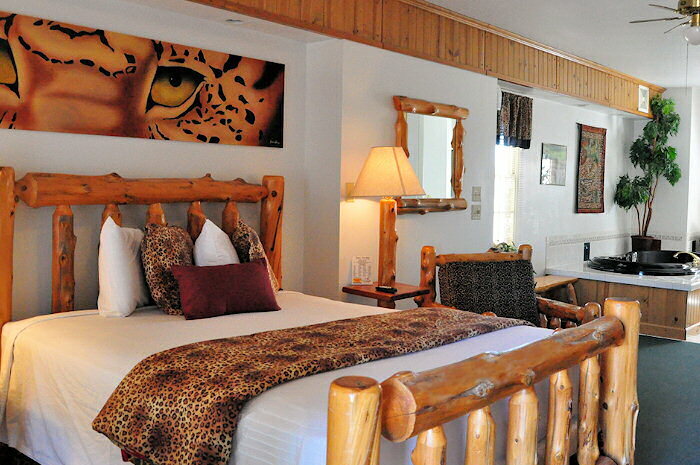 Our "Leopard Jacuzzi Suite" is the apple of our eye here at the Park Motel. 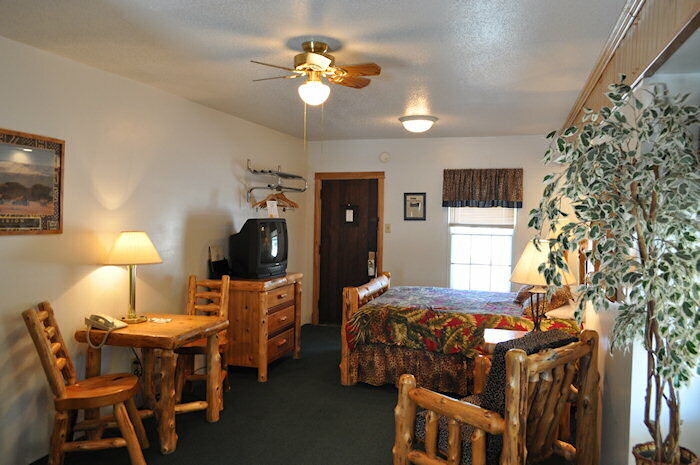 Featuring custom-made log furniture and a theme to bring the animal tendencies out in the most docile… Adding to the atmosphere are a queen-sized bed, plenty of space, and a black jacuzzi made for one or two waiting to relax away your aches. 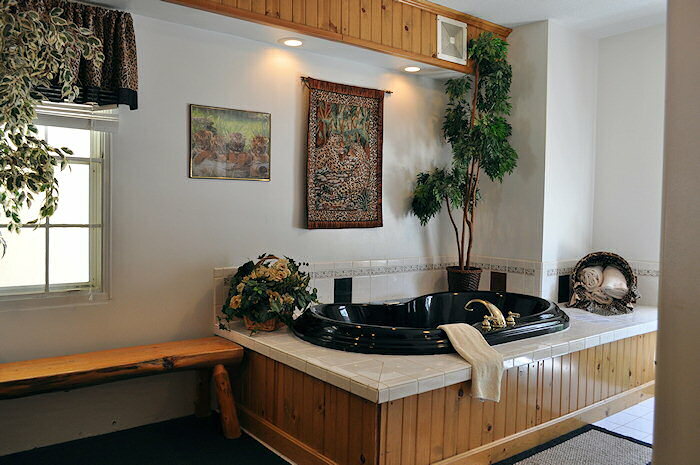 The Jacuzzi has powerful jets and bubbles that are sure to relax the worries of the day away. 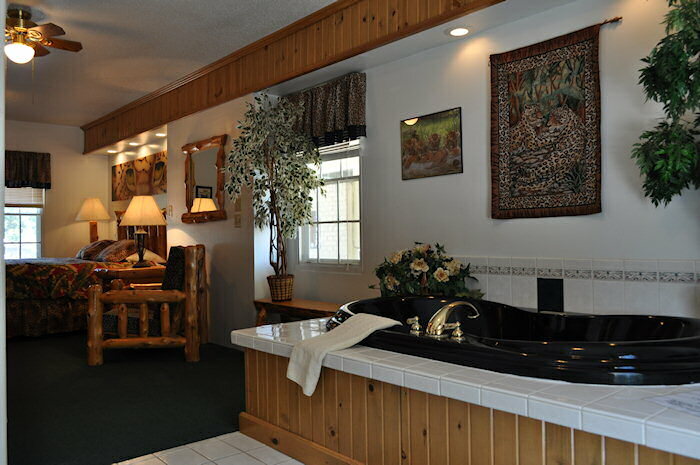 Whether for a weekend getaway or a respite for stressful times, our Jacuzzi suite will be sure to please.